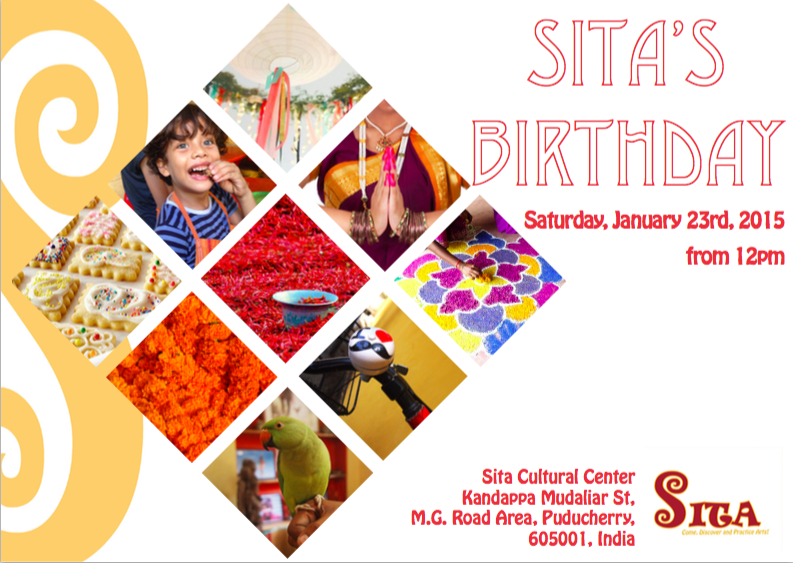 Come and have fun at the 4th anniversary party of Sita ! Sita is already 4 years! To mark the occasion, we organize an Anniversary Party open to all. Come share and chat over a Pot-Luck Lunch ! ✔ PIC-NIC : everyone brings a savory dish to eat with fingers. Sita takes care of soft drinks and desserts. .
Like # MyVintagebicyclette, decorate and personalize your vintage bicycle bell. Let your imagination run and give it an artistic, personal and funny touch! Young and Old food lovers will learn how to work sugar and create lovely colourful biscuits! ✔ Collective painting ! Leave your mark by participating in the realization of a fresco.